Motorized Press Feeding line Hydraulic Decoiler Machine have some different specification when you compare with mechanical decoilers. Hydraulic Decoilers tightening system is working automatically. Also its coil capacity is highest than mechanical decoilers. Hydraulic Decoiler`s upper press support arm is standart. 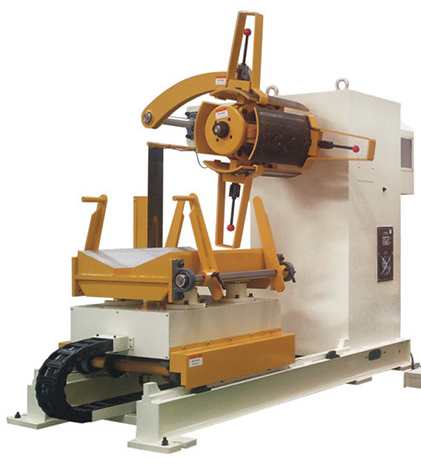 Looking for ideal Automatic Hydraulic Uncoiler Machine Manufacturer & supplier ? We have a wide selection at great prices to help you get creative. All the Big Heavy Duty Uncoiler Decoiler Machine are quality guaranteed. We are China Origin Factory of Hydraulic Decoiler With Hold Down Arm. If you have any question, please feel free to contact us.